Congratulations are in order: Happy All-Star Tuesday, everybody. 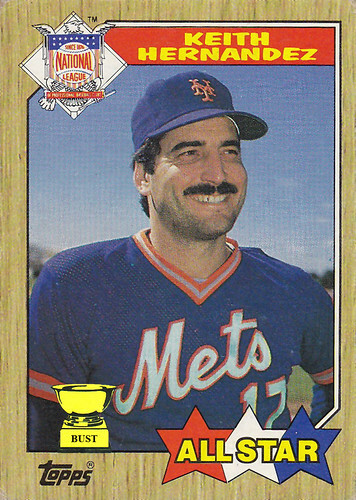 You know, Keith Hernandez was a five-time all-star, including the 1986 game. Here are some other awards he's earned in his lifetime. Stubble of the Year, 1976-1990, Vito's Barbershop, Brooklyn, N.Y.
"Cockiest S.O.B. I ever met," according to several women interviewed for this blog. Most provolone eaten in one sitting at 12th Street Deli. Participant, Capuchino High School spelling bee, 1969.